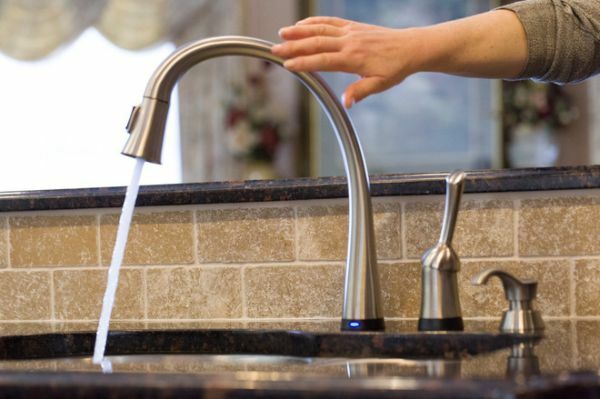 Home Kitchen Faucets	Touch Sensitive Kitchen Faucet: Yay or Nay? Faucets are an integral part of any kitchen. They have evolved from being mere fixtures to being a style statement. The faucets have come a long way in terms of appearance and design, as there used to be a time when faucets were available based on manual functioning but today owing to the innovation and technological advancement, we have touch sensitive faucets at our disposal. 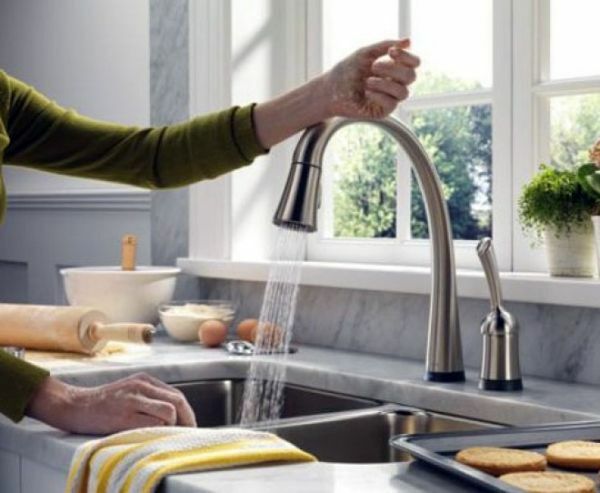 A touch faucet is ideal for use in kitchens wherein your hands get dirty and you quite a struggle to turn on and off the normal taps, as they get dirty. On the other hand, you do not need to have clean hands to use touch faucets, as a gentle tap of your arm, or some faucets sense the body presence and accordingly turn on. The users can easily set the touch faucets on the temperature and the flow they want. Kids also can use such faucets with utmost ease, as they do not require to pull a chair and then reach the knob, they can easily put their hands under the faucet and wash them, or tap on the spout to have the water flowing. Touch faucets have a smart design that turns off the water flow soon after there is no movement around the tap. They are easy to clean, you need to grip the tap tight while cleaning and it would not turn on because such faucets only turn on with a mild and a gentle touch, not when gripped tight. Touch faucets are expensive than the normal ones but it justifies its expensive nature well. The installation charges of touch faucets are more than the normal ones, and the temperature control feature in these taps also sometimes troubles. 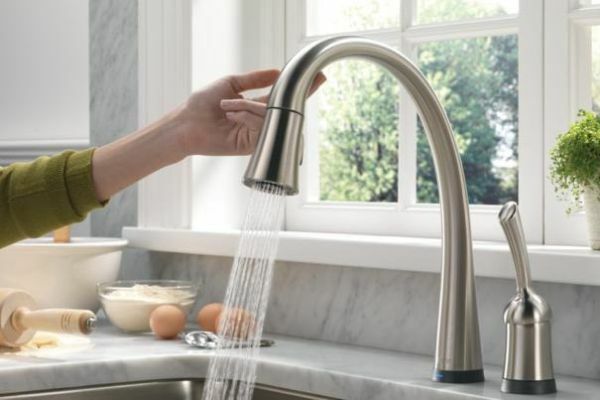 Touch sensitive faucets are valuable additions to all the kitchens. Initially it used to be hotels and restaurants where one could see such faucets but now they have become a part of many homes, as people have realized their worth.